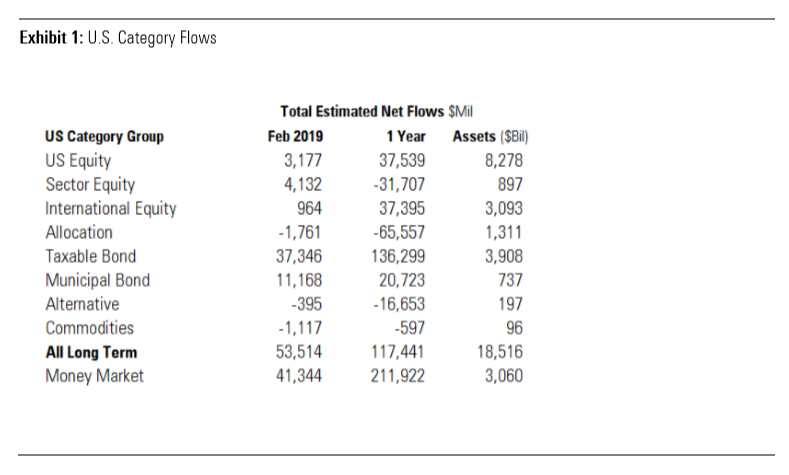 The latest Morningstar Direct Flows Commentary showed that long-term fund flows during the month of February saw their best month since January 2018 with a capital influx of $53.5 billion. U.S. equities are off to a strong start year-to-date in 2019, but it was taxable-bond and municipal-bond funds receiving a large portion at $37.3 billion and $11.2 billion, respectively. Municipal bond funds, in particular, notched their best inflows since 2009. “With the Fed signaling a pause in rate increases, bond investors decided it’s safe to go back into the water,” the report said. “This stands in stark contrast to the fear that gripped bond investors in late 2018. 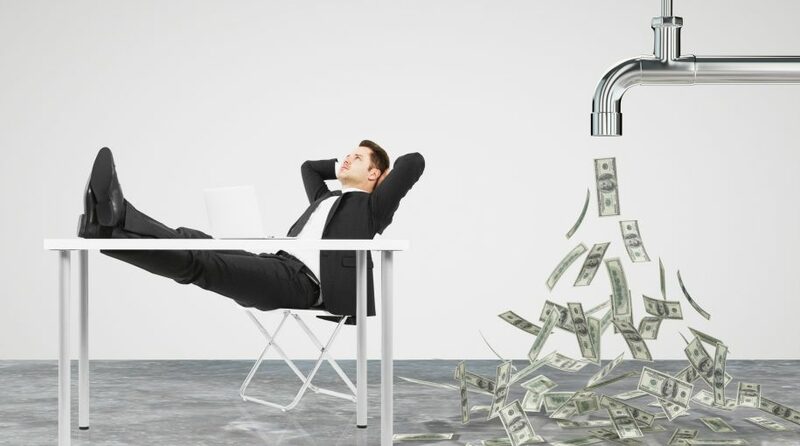 These two categories were mauled by outflows in the fourth quarter as the Fed raised rates and hadn’t yet signaled a willingness to stop,” the report added. Investors’ assumptions were confirmed on Wednesday when the Federal Reserve elected to keep rates unchanged, holding its policy rate in a range between 2.25 percent and 2.5 percent. In addition, the central bank alluded to no more rate hikes for the rest of 2019 after initially forecasting two. Rate hikes in 2018 saw an increase in short-term bond funds, but a more dovish Fed saw those funds collect only $3.8 billion in 2019 thus far. That trend of lesser flows could persist if the Fed delivers on its promise to keep rates in check. “But with the Fed held at bay for now, investors have lost interest in short-term bond funds,” the report noted. The propensity to take on more risk was also seen in high-yield bond funds gaining. Investors were also apt to extend their exposure to longer duration bond funds with intermediate-term bond funds seeing more inflows. “That renewed confidence showed in February’s most popular taxable-bond categories, intermediate-term bond and high-yield bond, which collected $15.5 billion and $5.6 billion, respectively,” the report said. Activity picked up for actively-managed funds which received $11.4 billion in inflows. It marks just the fifth month within three years in which actively-managed funds garnered more than $10 billion in flows. Meanwhile, passive funds were the beneficiary of $42.2 billion.